You must make reservations at least 5 minutes in advance of the time at Jeffrey's Restaurant. 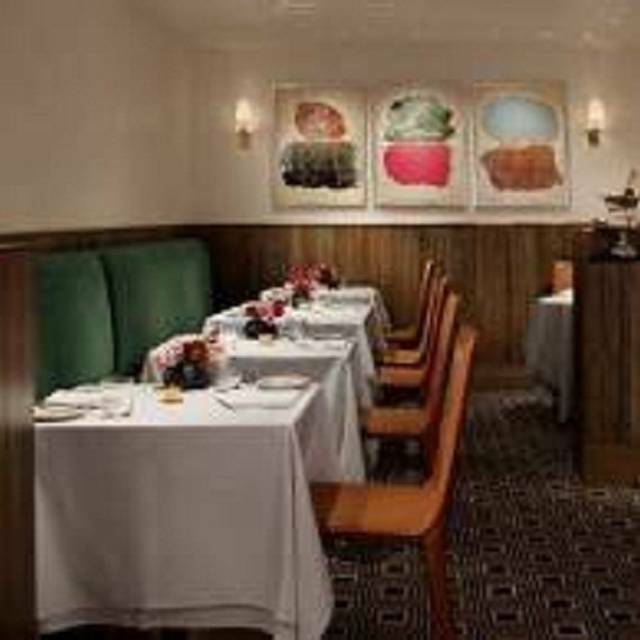 Whether celebrating a special occasion with family and friends or hosting a corporate outing, Jeffrey's Restaurant can accommodate all your special event needs. Jeffrey's Restaurant & Bar has been an Austin neighborhood fine dining institution since 1975. 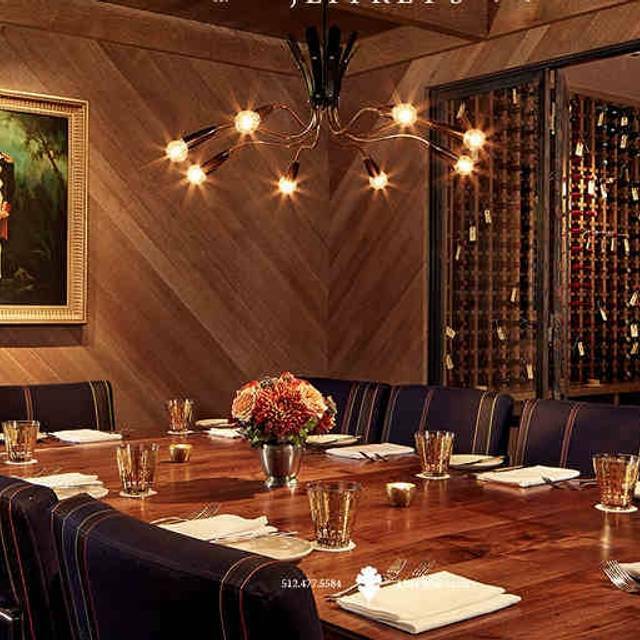 In 2012 the restaurant closed for a major renovation and has reopened under the leadership of Austin's premiere restaurant group, McGuire Moorman Hospitality. The restaurant, nestled in a quiet neighborhood just west of downtown features a lively bar, three distinct dining rooms and menus featuring dry-aged prime steaks, updated classic fine dining and locally sourced produce. Private dining is available, free valet is standard & local car service is offered. Josephine House offers lunch, brunch, happy hour, dinner & Monday night steak frites. The Clarksville cottage features a small marble bar for coffee or cocktails, intimate tables in the dining room, shady nooks on our patio and a grassy front lawn for lounging. Chef Alex Manley and her team prepare an eclectic daily menu featuring the best locally sourced products. Beautiful ambience, impeccable service, excellent food, attention to detail. Can get a little pricy but worth every penny. We will be back! A very great experience for food and wine lovers. Superb service. Wonderful food. Tables are very close to each other. I thought we were going to an upscale restaurant. Ive been here before, but it has been a while. Apparently management decided to throw the dress code out the window. Best steaks I have ever had...amazing service...ambiance...top notch. The evening started out well with cocktails and an appetizer in the lounge. One we were seating for dinner it went downhill. The services was very slow and the dinning area was extremely hot. We complained no less than 4 times and finally we were told we could be re-seated. This took another 20 minutes and the manager never apologized for the inconvenience. Beautiful interiors - great ambiance. Server was attentive, overall very good. However, we ordered two sides with dinner, the broccolini, and the leeks. We were contemplating the steak frites, and decided not to get them. However, the server had them sent over "on the house" , which was really nice (and they ended up being the best side). All well and good, until the next morning my husband looks at the check and sees that they actually charged us for the steak frites, and my husband left the guy 30% tip (to make up for the fries) because they said they were "on the house". Obviously I don't care about the extra 10$, but the moral of it. Don't tell us it is on the house, and then charge us for it (and my husband being a good tipper as it is) includes even more for the server bc we thought he did a good thing. Austin has so many great restaurants to explore, though it was enjoyable, the food wasn't to die for (in fact Josephine House) next door is better, though the same owner! Truly a fantastic dining experience on every level. Superb cocktails, wine list, and food. All made even more enjoyable by wonderful staff and lovely, but relaxed setting. Planning to go back regularly! Excellent, world-class service and delicious food. It's definitely a splurge to come here, but it is the right spot for a special occasion. Seating is Too Close to others! No privacy. 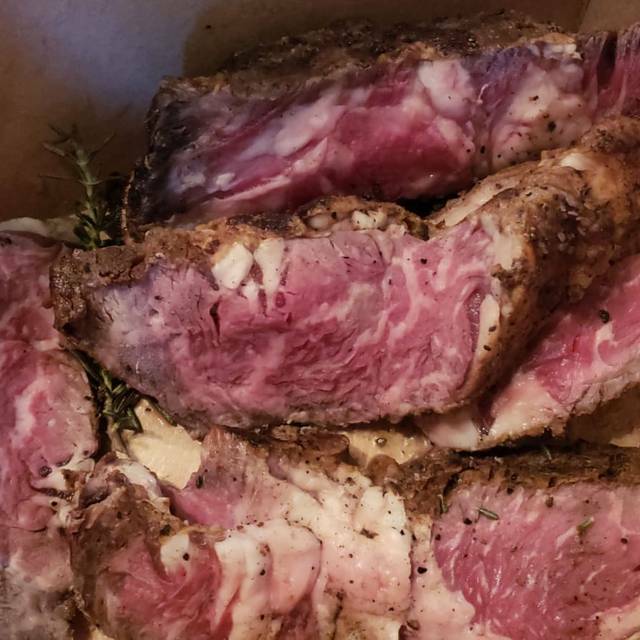 Steak under cooked & cold. One of my favorite restaurants in Austin! Always love it here! Experience was wonderful. Everything was perfect. Fabulous!!! Our server was The Best!! Spectacular! We came to Jeffery’s because of their great reputation. We knew they had a lot to live up to. They matched or or went beyond all my expectations. Jeffery’s is better than ever. Still has the cache from 30 years ago with a wonderful new take on the classics. Service is impeccable and the food was gloat worthy. This was our first time at Jeffrey's and it was a wonderful experience. Service was first-rate, and the food was excellent. An oyster appetizer over a cream-leak sauce was extraordinary. Salads were great and the entrees were also superb. Highly highly recommended. The service at Jeffrey's was excellent as was the ambiance. Unfortunately, the food just did not deliver. My steak was mediocre and my colleague's seafood risotto was overcooked (tough, chewy shrimp). 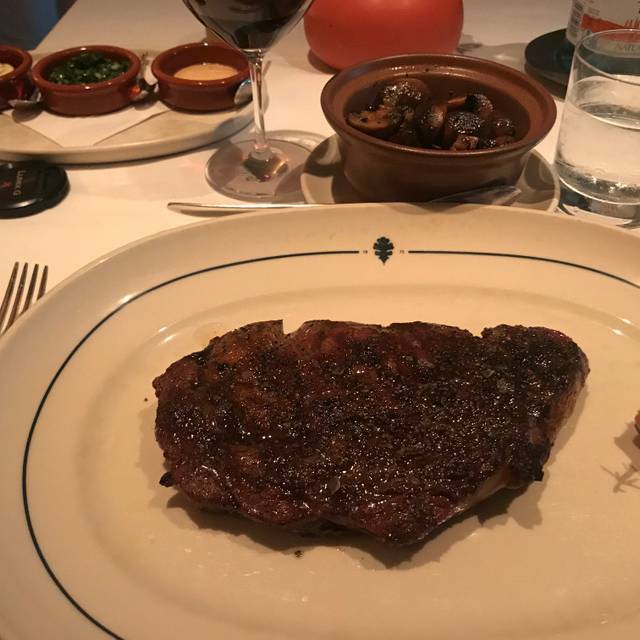 I heard a lot of good things, but I think there are better Steak house options in Austin (like Bob's or Capital Grille). Excellent food and wine! Waiter took a little long to check on & bring our drinks, but atmosphere is conducive to private conversations and ambiance is perfect. Food was beautifully prepared and had great flavor. Wine selection was impressive and showed a diverse portfolio. Service was excellent. Wait staff was very timely and attentive to all details from recommending wine and food to ensuring we had everything we needed while dining. Highly recommend to anyone looking for a high quality meal or to celebrate a special occasion with family or friends. We had an amazing dining experience. The food,wine list, and ambiance were all amazing. The tempo of the evening was perfectly executed by the wait staff. I would highly recommend the experience! 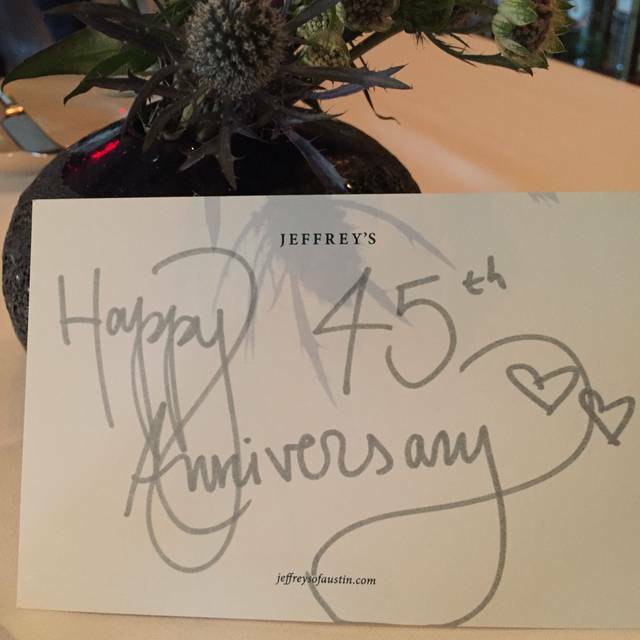 Jeffrey's is one of my favorite places to celebrate a special occasion or for a date night. The food and service are amazing. We had amazing time, excellent service and food! We had the best time at Jeffrey's. It is expensive, but we were celebrating, so we were prepared to shell out quite a bit. 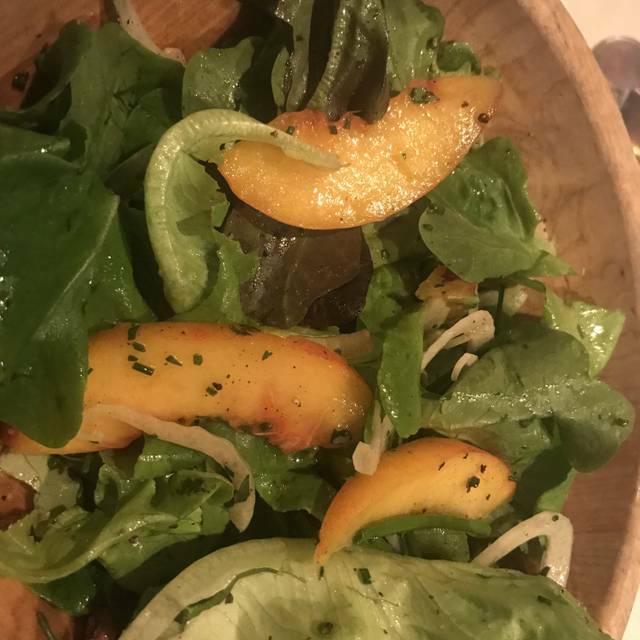 The service is fantastic - they took such good care of us, and the food was all perfect. We got the dry-aged ribeye, two sides, two apps, and a dessert, and we finished everything. One of the best steaks we've ever had + great service + romantic ambiance makes for the perfect special-occasion spot! Had a great time celebrating my family business’ 10th anniversary! They took great care of us and everything was delicious. Everything was delicious. Server took my napkin when it fell on the ground and never brought another. Had to borrow my date’s until I could flag someone down 10 min later. Seemed kind of busy. No worries. Other than that everything was outstanding. loved it and will definitely be dining there soon!!! Best restaurant I've been to in Austin, certainly the best steakhouse by far. Google was not kidding around with the 4 $ signs for this place. Be prepared to PAY! But, boy, was it worth it. Food was delicious, service was top notch, and a nice cozy setting. Definitely a good place if you want to impress someone 😉 Or just come out with your friends for a fancy night out, which is want we did. None of us where brave enough to order the $169 porterhouse steak but we did get the risotto, short ribs, and turbot (a type of fish) which were all fantastic. Restaurant has free valet, which was very convenient. Tiny room. Poorly designed seating. Shoved in a corner. Repeatedly brought gluten items after letting them know I was celiac. 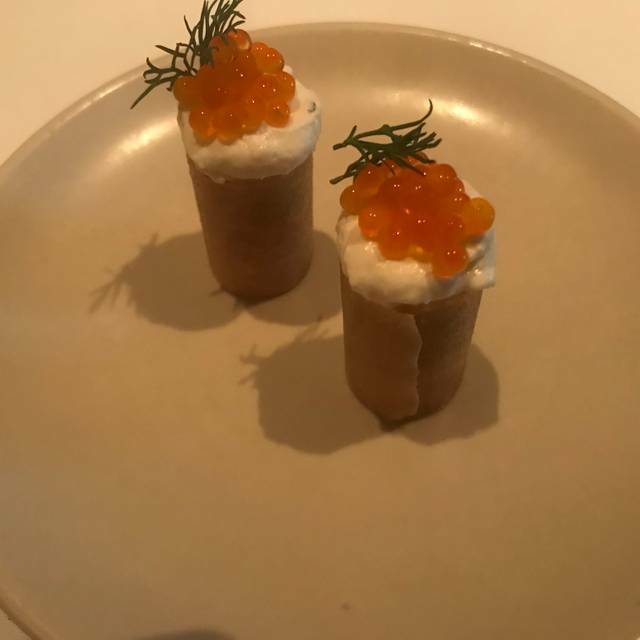 Flavors and presentation has gone down hill. Eaten here multiple times. Not enticed to go back. 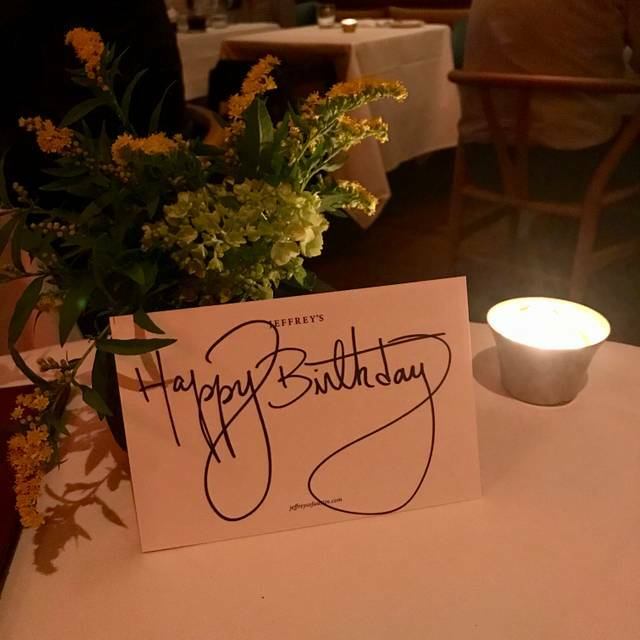 I really enjoyed dining at Jeffrey's with good friends for my birthday. 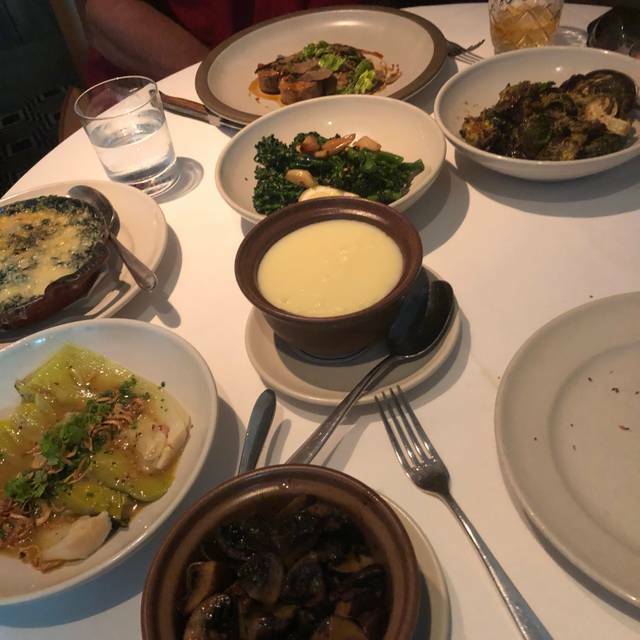 The food was terrific with the exception of the seafood risotto which was overwhelmed with herbs and not cooked properly. Everything else was superb. Service was lovely. Wine list is great and the half-price bottles on Sunday are a fantastic bargain. Would definitely recommend this place.